It’s difficult to get free image editor that run on Mac OS X. Today, I’ve found a free image editor that run on Mac OS X, Windows and Linux. Let me introduce you the free image editor for Mac OS X – GIMP. 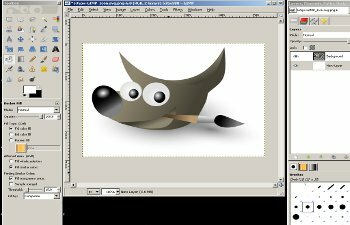 GIMP is an open source image editor for mac os x, xp, vista and linux and it’s as good as Adobe Photoshop. This free image editor has most of the features that you need to process an image from crop, resize, transform and etcÂ . If you are a blogger and need to do a lot of image processing, GIMP is more than enough for you. Since this is just a FREE image editor, why not give it a try. Download and try this free image editor today. How to disable ssh root login? Prestashop 1.5 - How to enable add to cart button at Home Featured Product?